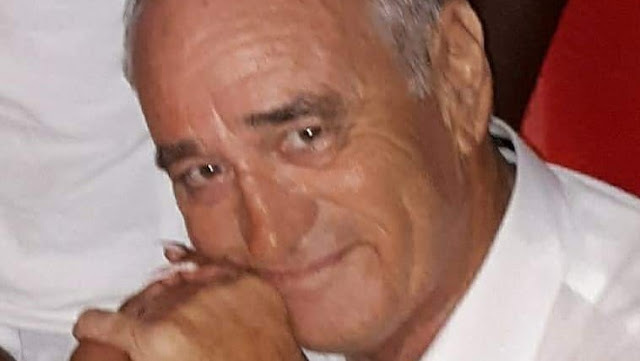 I was shocked and saddened to learn today of the death of Robert Hathaway, whom I understand was found dead at his home in Gros Islet, St Lucia, on Sunday. An incredible number of people have contacted me today about these reports. The news that police have launched a murder investigation was awful to hear. Robert, known to many as Bob, was a British national and Cambridge graduate with a passion for sailing. Roger and I met him in Marigot Bay, St Lucia, in early January 2014, just a few days before Roger was murdered on the island. Bob was well known and well liked in the yachting community. He had worked in the marine industry for decades, building and sailing boats. Bob had lived in St Lucia since the turn of the century, establishing the marina in Marigot Bay and representing the Cruising Association on the island. We didn’t know Bob for long, but it was long enough to discover that he had similar interests to Roger and was a thoroughly nice man. I was touched that Bob attended Roger’s funeral in 2014. Bob’s passing comes almost five years to the day that Roger was murdered in St Lucia. There are great parallels in their lives and, seemingly, now their deaths. Roger and Bob were both men of great intellect. They shared an aptitude for engineering and a love of yachting and the sea. For them to share a similar fate, both murdered on this violent ‘paradise’ island shortly after their respective retirements, is hard to take. My heart goes out to Bob’s family and friends at this dreadfully sad time. I know what you are going through.